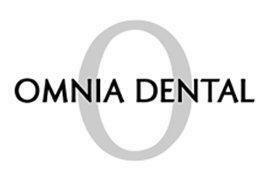 Omnia Dental Care always appreciates feedback from our valued patients. To date, we’re thrilled to have collected 10 reviews with an average rating of 5 out of 5 stars. Please read what others are saying about Omnia Dental Care below, and as always, we would love to collect your feedback. Amazing and professional staff. Had to come in for a root canal due to terrible pain. So I made an appointment online on a day they were closed and the office called my 30 minutes before opening the next day to get started, emailed me and the questionnaire/medical information and took the time to call me union for insurance information. Dr. And her assistant were there to make sure it was as pleasant of an experience possible. (I’ve heard many horror stories.) so it was a pleasant surprise constantly asking if you can feel anything is a relief. Would highly recommend this dentistry to anyone for any dental needs. Great staff, great environment, great experience! Super friendly and professional, Dr. Kim and staff definitely deserve your business! This is the BEST dental office, period. Came here for an implant, and Dr. Kim was so professional and answered every question I had. I loved that she was so precise and took the time between steps to make sure everything was perfect before moving on. Staff was super friendly and I could tell they were all pros. I have a couple friends who need dental work, and I'm already bugging them to come here, even though they live an hour away. Dr. Priyawat provides excellent service. She is friendly, professional, and makes you feel comfortable as a patient. She is very detail-oriented and made sure my I was completely satisfied with her care. Highly recommend her as your dental provider! I chipped my tooth and needed to see a dentist as soon as possible to get it fixed. I work nearby and was able to go in during my lunch break. Dr. Kim was so friendly and nice, she was able to finish the work before my lunch break was over and I still had time to spare. The office was clean and nice, they even had Netflix available to watch during your treatment. I have already recommended this office to all of my coworkers and friends, i look forward to coming back soon for a cleaning! Dr. Kim was exceptionally knowledgeable and professional. She was also efficiently gentle and thorough. I highly recommend her services. Dr. Priya was definitely the best dentist I’ve ever ever had. I had a lot of work done, due to poor flossing habits, but I barely felt a thing. Thanks again! Will definitely come back. Staff was amazing! The place is gorgeous and the staff was detailed about what they were doing and why! Dr Kim uses cutting edge techniques and has the latest equipment. She really cares about her patients and goes above and beyond to make sure you are happy with her work. She stays on top of the latest techniques in order to be able to give her patients the best care possible. I travel a distance just to have her work on my mouth. I highly recommend this dentist, you won’t be disappointed. Very professional and pleasant. Dr. Priyawat did great work with my implant and crown. Explained every step and answered all the questions I had regarding the implant procedure. I am very happy to have found a dentist I can trust. Thank you.